Made in the tradition of LP Chern’s famous Khun Phaen Marum Tum amulets, by LP Say Wat Nam Wijit, Sri Saket. 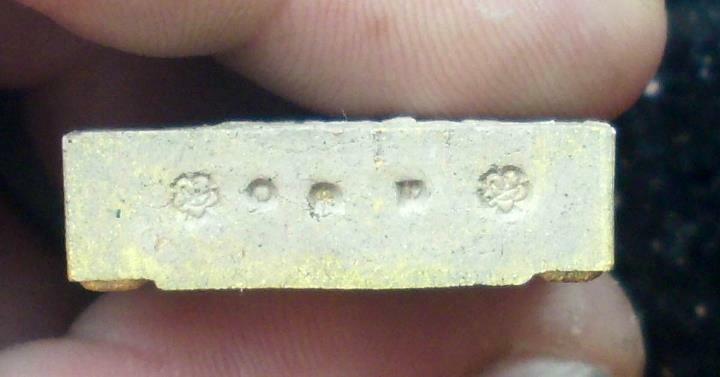 3 silver Takrut in the rear face and more Takruts in the base. Special sacred powders with immense power are within the Muan Sarn of this discreet but overwhelmingly powerful amulet. 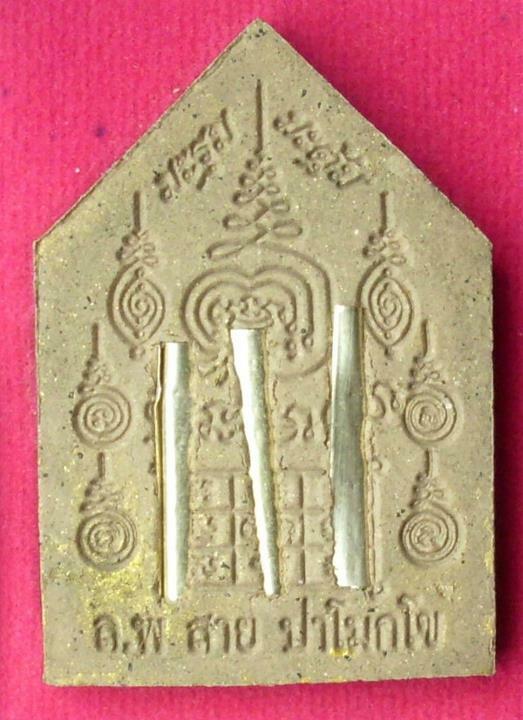 Those who are familiar with LP Say and Luang Por Chern’s Khun Phaen Marum Matum will need no explaining as to the power of this amulet. Luang Por Chern was perhaps most famous for his Pra Khun Phaen Marum Matum amulets, which become so much in demand, but unfortunately too few were made indeed to fulfill the needs of all the devotees who wished for one. His amulets now go for prices reaching into the thousands of dollar range, and are so rare to find these days. Luang Por Say began to distribute amulets in about 2540 BE after decades of practicing Kammathana Vipassana, and Magical Empowerment. He made Sariga birds, Khun Phaen, Takrut, Mae Bper and many other kind of Amulets, and then decided to create another edition of Pra Khun Phaen Marum Matum Amulets for Metta Mahaniyom and Maha Sanaeh. He has made them in the same creation and empowerment method used as taught in Luang Por Chern’s Dtamra/Wicha. Using the same Muan Sarn sacred Powders and Wan ingredients, and the same Incantations and Jhanic Skills were applied. Each time Luang Por Say made a new Incantation, he Invoked the Spirit of Luang Por Chern to attend and assist in the empowerment of the amulets. Funds raised from this range of amulets were assigned to the Project to finish building the Temple which LP Say is currently still in the process of Building. This amulet comes without case, in the original box from the Temple. Sacred Takrut spells are inserted into the base of the amulet. LP Say is a Master of the one of the Founding Lineages of Khmer Adept Magic, who learned many Decades ago in the times of three Great Khmer Ajarns who were extremely Powerful in Saiyawet Spellcasting and Metta empowerment. They were Endowed with Great Psychic Ability, and Advanced Practitioners of Kammathana Vipassana and the Pra Waet Vedic Magical Grimoires. Mr. Surayut Nam Chern, a Lay Master and Looksit of Luang Por Chern (Wat Ta Ee), donated a quantity of Sacred Powders from LP Chern to Luang Por Say for mixing into the Muan Sarn of these new edition Pra Khun Phaen Marum Tum. Wan Dork Tong flowers and leaf (male and females), Wan Sanaeh Jantr Khaw (white mooncharm flowers), Wan Sanaeh Jantr Daeng (red mooncharm flowers), Wan Sanaeh Jantr Khiaw (green mooncharm flowers), Wan Sanaeh Jantr Horm (perfumed mooncharm flowers), Wan Kruea Sau Hlong, Wan Maha Sethee Ruean Nork, Wan Sethee Ruean Nai, Wan Sethee Gorb Sap, Wan Sethee Ruean Gaew. Wan Gug Gai, Wan Paya Gai Lae, Wan Grajae Jantr Hongsaa, Wan Ngo Tord Roop, Wan Chang Prai, Wan Khun Phaen, Wan Tung Ngern, Wan Tung Tong, Wan Ngern Hlai Ma, Wan Taep Rampeung, Wan Paya Hongs Tong, Wan Pragay paetch, Wan Taep Ramjuan, Wan Phad Boke, Wan Putta Gwak, Wan Maha Niyom, Wan Maha Gwak, Wan Rang Ngern, Wan Khiaw Pan Pi, and Rae Ngern Hlai Ma minerals are also added. Pong Mai Gai Gug, Pong Ma Saep Nang, Pong Nang Ok Taek, Pong Paya Tae Krua, Pong Mai Wua Lerm Dork. All of these amazingly rare and powerful magical herbs and powders were then mixed together and made into amulets, receiving the full empowerment of the Pra Khun Phaenb Marum Tum according to the Dtamra of Luang Por Cherns formula, and thus continuing the Dtamnan of Pra Khun Phaen Marum Dtum, made by the last surviving member of the Three Masters of this Wicha. Useful for Businessmen, Lovers, Shopkeepers, Social Climbers, Gamblers and Salesmen.